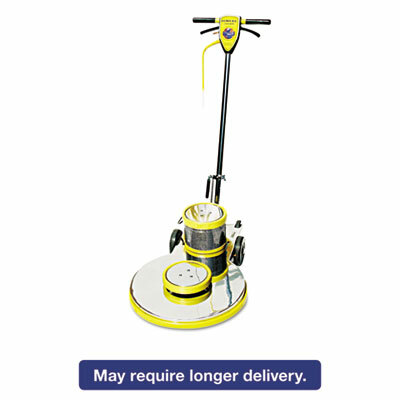 Revitalize floor finishes with a powerful, commercial-grade high-speed burnisher. T-grip handle features a convenient kick-lock/release for easy angle adjustments. Power triggers with switch lock help minimize the potential for injuries. Chrome-plated solid steel housing ensures long-lasting durability. 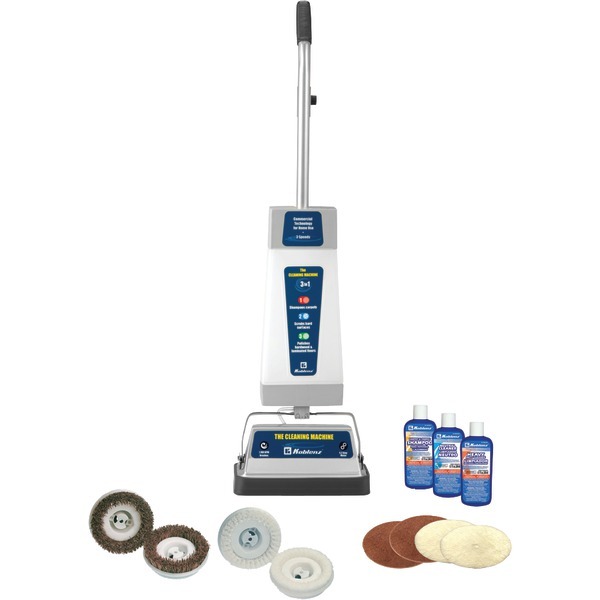 Burnisher is compatible with properly sized buffing pads (sold separately). Floor Machines Type: Burnisher; Handle Type: Quick-Connect T-Grip; Brush Diameter: 20"; Power Capacity: 1.5 hp. 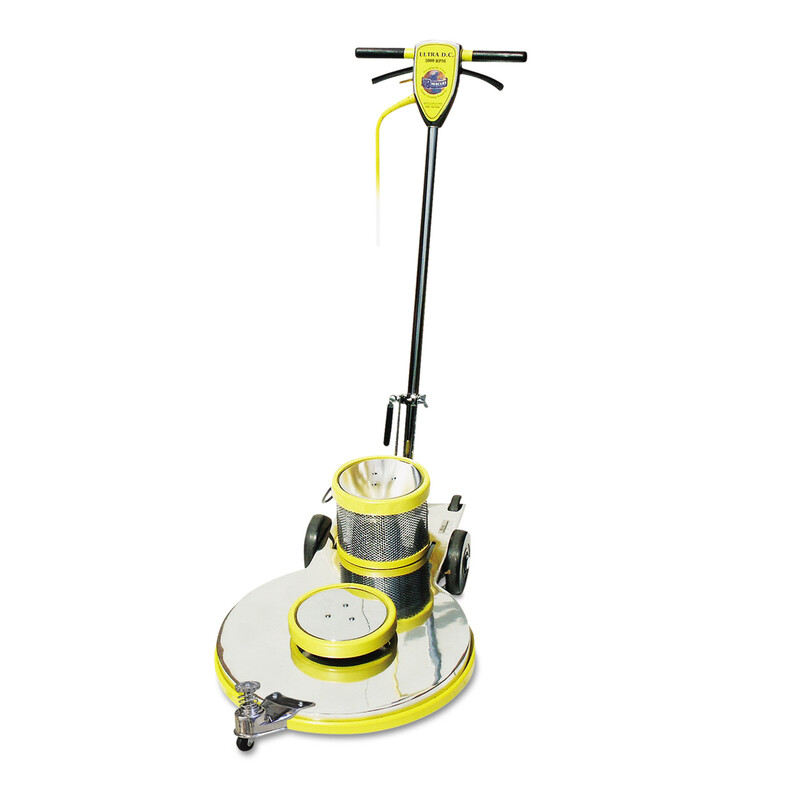 The Ewbank Floor Scrubber & Polisher is simple to use, compact and suitable for all types of bare floor surfaces. Its lightweight design provides much needed mobility to those awkward areas around the home. 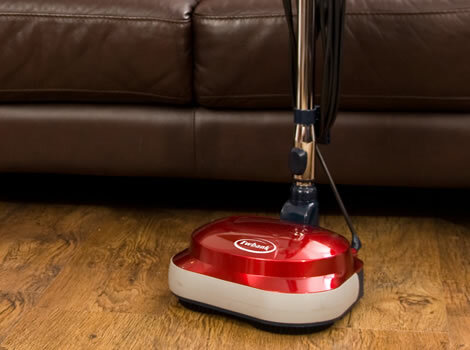 When used with Ewbank Floor Polish it brings a professional, high sheen to floors. The Oreck Low Boy is a different floor cleaning machine that cleans a big 19" path.The Oreck Low Boy has a powerful induction motor that is totally enclosed. Tiny particles from sanding, will not be able to enter the the motor and wear out the brushes. This ensures that the brushes and commutator will never wear out! The orbiting transmission runs at over 1725 orbits per minute, guaranteeing no torque gouging, swirling, or vibrations in the floor machine. The 19" apron easily covers the 17 brush or pad, which contains the particulate for removal with the vacuum attachment connections. Attach a wet/dry vacuum, backpack or canister vacuum to effectively collect sanding dust to create a lightweight, high productivity wood floor screen sanding machine. Take a look at our complete line of 17 inch low speed buffers for more options. When used as a floor sanding machine, the Low Boy produces such a smooth finish that it actually eliminates steps with the drum/belt sander, rotary finisher and edger. Because this floor machine has no torque it is very easy to use, even by those who have never operated one before. Chemical usage is reduced by as much as 50% since it does not throw the chemicals out away from the machine, rather it draws the cleaning solution under the pad where it is needed. 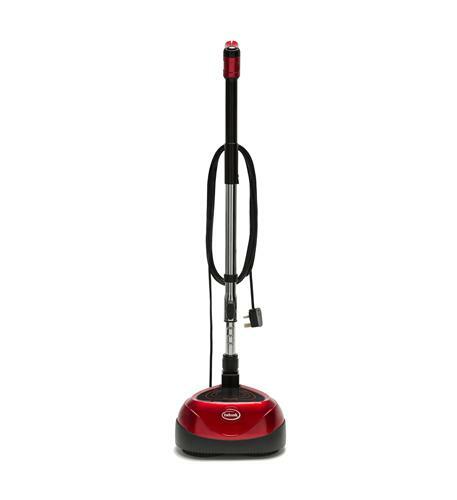 • Vacuum "T" mounting on handle lets you collect sanding dust with a backpack or canister vacuum. • Safety enhanced non-conductive dual triggers eliminates shock potential. • Safety interlock switch prevents unexpected startups. • Free-floating, 14 gauge chromed steel handle has an easy kick release and automatic locking system. • 5 year warranty on motor and transmission, 1 year on parts and labor. 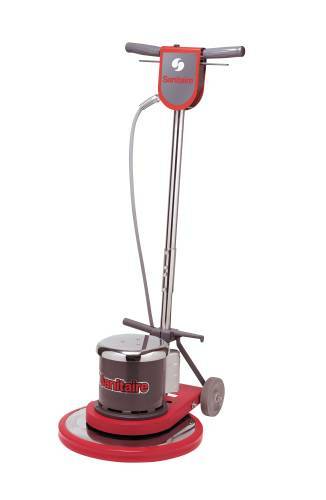 Thorne P820-B Electric Upright Floor Polisher. Finally a rug shampooer/floor polisher designed to last. 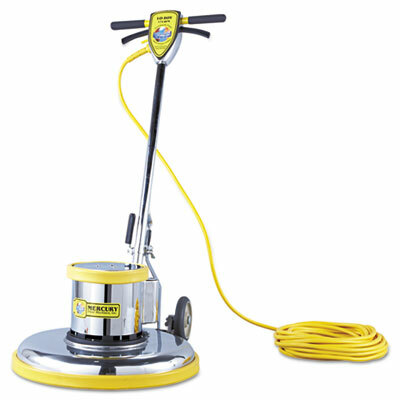 The cleaning machine from Thorne electric scrubs polishes waxes and shampoos all kinds of floors with professional results and little effort. With high impact housing a powerful all metal 4.2-Amp motor and full width bronze gears the Thorne electric Koblenz cleaning machine floor shampooer/polisher is sure to deliver outstanding performance time and again. With high impact housing a powerful all metal 4.2 Amp motor and full width bronze gears the Thorne Electric Koblenz Cleaning Machine hard floor polisher is sure to deliver outstanding performance time and again.Package includes one pair each of Scrubbing Brushes Tan Polishing Pads and Lambswool Buffing Pads Twin brushes rotate in opposite directions providing stability for easy handling and superior cleaning. 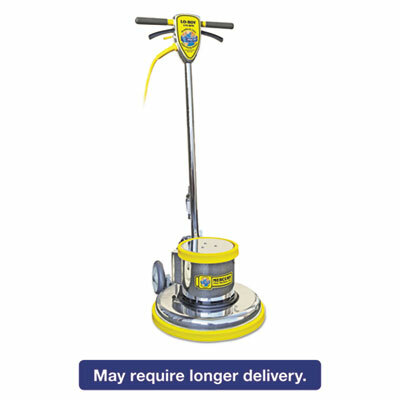 Two speed settings is ideally suited for shampooing scrubbing polishing waxing and buffing all kinds of hard surface floors and carp This item cannot be shipped to APO/FPO addresses. Please accept our apologies. High-powered, D/C rectified motor ensures reliable, brown-out-free, high-speed operation. Precision-balanced all-metal chassis helps users maintain even pad pressure, enabling more consistent results. Interlocked, non-conductive safety switch minimizes the potential for injuries. Low-profile apron with full-coverage bumpers simplifies maneuverability while protecting walls and baseboards. Flexible pad holder automatically conforms to floor irregularities. Fully adjustable handle may be set to accommodate nearly anyone. Order pads separately. Floor Machines Type: Burnisher; Handle Type: T-Grip; Brush Diameter: 20"; Power Capacity: 1.5 hp. Precision-balanced, heavy-duty 66-frame motor ensures reliable, professional-quality performance. Triple-planetary, high-torque transmission stands up to tough tasks, while minimizing gear wear. Safety-enhanced, interlocking auto-cutoff switch enables both left- and right-hand control. Nonmarking, full-wrap bumpers protect walls and baseboards from scuffs and scrapes. Fully adjustable handle accommodates nearly any user. Smooth-rolling 6" wheels simplify transport. Pads and pad drivers (Sold Separately). 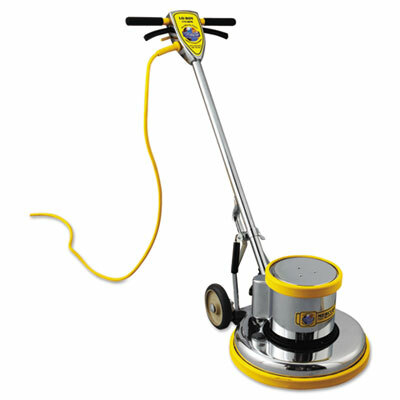 Floor Machines Type: Rotary Scrubber; Handle Type: T-Grip; Brush Diameter: 14"; Power Capacity: 1.5 hp. Precision-balanced, heavy-duty 66-frame motor ensures reliable, professional-quality performance. Triple-planetary, high-torque transmission stands up to tough tasks, while minimizing gear wear. Safety-enhanced, interlocking auto-cutoff switch enables both left- and right-hand control. Nonmarking, full-wrap bumpers protect walls and baseboards from scuffs and scrapes. Fully adjustable handle accommodates nearly any user. Smooth-rolling 6" wheels simplify transport. Pads and pad drivers (Sold Separately). Floor Machines Type: Rotary Scrubber; Handle Type: T-Grip; Brush Diameter: 16"; Power Capacity: 1.5 hp. Precision-balanced, heavy-duty 66-frame motor ensures reliable, professional-quality performance. Triple-planetary, high-torque transmission stands up to tough tasks, while minimizing gear wear. Safety-enhanced, interlocking auto-cutoff switch enables both left- and right-hand control. Nonmarking, full-wrap bumpers protect walls and baseboards from scuffs and scrapes. Fully adjustable handle accommodates nearly any user. Smooth-rolling 6" wheels simplify transport. Pads and pad drivers (Sold Separately). 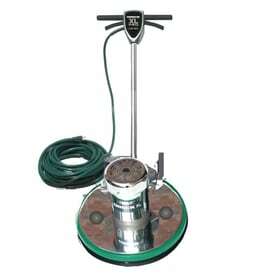 Floor Machines Type: Rotary Scrubber; Handle Type: T-Grip; Brush Diameter: 20"; Power Capacity: 1.5 hp. High-powered, D/C rectified motor ensures reliable, brown-out-free, high-speed operation. Precision-balanced all-metal chassis helps users maintain even pad pressure, enabling more consistent results. Interlocked, non-conductive safety switch minimizes the potential for injuries. Low-profile apron with full-coverage bumpers simplifies maneuverability while protecting walls and baseboards. Flexible pad holder automatically conforms to floor irregularities. Fully adjustable handle may be set to accommodate nearly anyone. Order pads separately. PRO-2000-20: 2,000 rpm, 20-inch pad. Floor Machines Type: Burnisher; Handle Type: T-Grip; Brush Diameter: 20"; Power Capacity: 1.5 hp. Simple and easy to use, all Renown auto scrubbers are self propelled using a transaxle drive system. Variable speed with forward and reverse drive. Adjustable pad pressure from 0-150lbs. Rotationally molded tanks with heavy cast aluminum squeegee assembly. Extra set of squeegee blades on-board. 17 gallon tank, 26� cleaning path, and 215 A/H batteries. 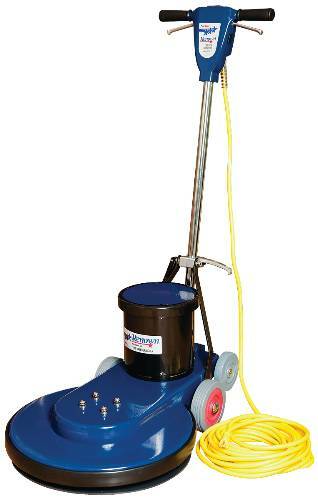 Simple and easy to use, all Renown auto scrubbers are self propelled using a transaxle drive system. Variable speed with forward and reverse drive. Adjustable pad pressure from 0-150lbs. Rotationally molded tanks with heavy cast aluminum squeegee assembly. Extra set of squeegee blades on-board. 17 gallon tank, 28� cleaning path, and 215 A/H batteries. 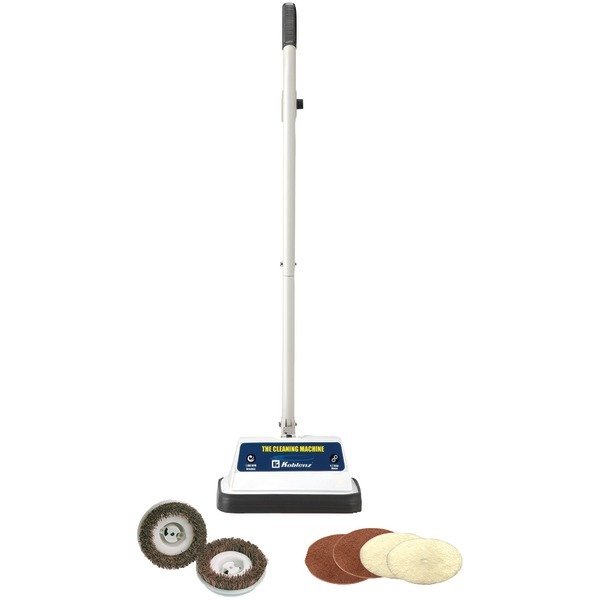 RENOWN� HIGH-SPEED FLOOR BURNISHER, 20 IN. RENOWN� HIGH-SPEED FLOOR BURNISHER, 20 IN. Our floor burnisher is designed and built for daily use in the toughest environments. The following features make this floor burnisher work efficiently anywhere:^|Powder-Coated Steel Base, Switch Housing, and Levers|Balanced Flexible Pad Holder||Includes Centering and Locking Device|Non-Marring Gray Rubber Wheels||Won't Mark Floors|3-Wire Grounded Power Cord||75' and 14-Gauge|Pad Driver^^Maximum Power^Burnishing floors is easier thanks to the power of this machine. Its actual pad speed is 1,500 RPM! It also is 1.5 DC-rectified, which means low amp draw with proper torque for maximum power. 1.0 HP, 175 RPM. Twin capacitor single speed motor with triple idler planetary gear drive provide extra torque. 50' power cord. Chrome plated steel construction with heavy-duty wrap around bumper for wall protection. Built-in safety shut-off, quick connect handle. Pad driver SOLD SEPARATELY. 1 year warranty, 3 year motor warranty.